I will show you 5 super simple ways to get started. Most people have read many times articles about ways to make money. However, most of them have never earned a penny. That’s the problem I want to help you solve in this article. I will not start with the ways to make money. Before that let me explain why you don’t make $100 a day. There are thousands of guides on the internet. They show you how to start an online business, build a site, a Youtube channel, etc. Many of them have titles like “learn how I have made 1 million dollars with this system”. Well, I don’t mention that to offer you my guide. And you cannot trust every making money product on the internet. However, you already know that many people have made a lot of money and built multi-million dollar businesses. Some of these guys have created training programs, books, digital products with all the needed information at a price. Let’s say that you start with a guide and just fail like the most people who try any program or guide. Then, you read from a random guy on a forum: “It doesn’t work that program, I have tried it.” Now, you are convinced. That program was a scam. But after a few weeks, you read a story on Twitter about another guy who tried the same guide that did not work for you and he makes $10k per month. Is this a fake story? I am sure, you have heard many times success stories and complaints about the exact same training. So, why some people fail and others make thousands of dollars with the same training and tools? This is why some people earn only a few hundred dollars per month and others are millionaires. Anything that prevents you to take action, work, make more money, improve your lifestyle can be a mindset problem. There are a few things you can do to fix your mindset and become the successful guy and not the “I have tried it, it doesn’t work” guy. Below in this article, you can read some ways to get started. I have linked some resources and guides. All of these ways have worked for some people. How can you know which one is for you? Start with the one you believe you can do it! If you do not believe that you can achieve something, it is unlikely to get any results. In the beginning, you need to believe that you can earn a few dollars, make a sale, get ranked on the first page of Google, find a client, etc. The training cannot help you when you think that you will fail. Before setting up goals about making $100 per day, focus on making $1 per day. When you reach a goal, the levels of belief in your self will increase and you can focus on bigger goals. So, start with something you believe you can do it. The right information or the right training is the one which makes you feel excited and ready to take action. If any of the ways below does not make you feel excited, you may need another way or you do not believe that you can make money online at all. If that’s the case, take a look at some success stories. They are everywhere, forums, sites, social media. Why do you want to make $100 per day? Some people want to support their family, others want a different lifestyle or they want to create a successful business. You just need something to motivate and inspire you. Many people fail because they give up too soon. Some people start online for free. Others invest some money from the beginning because they want results fast. I will not tell you what to do but in both cases, you need to be patient. 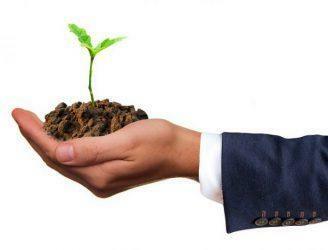 When you start for free with a blog or a YouTube channel, it will take time to grow organically. Also, there are skills you need to learn. The same applies if you have put some ads and you do not see good results in the beginning. You must learn your business and develop some important skills. Many people quit after one-two months. You can expect that most of the times, you will not get the results and the money you want for many months. Even business models like freelancing have a learning curve. You cannot start earning $50 per post from the day one. So, my advice here is to stop thinking about when you achieve your goals and start thinking about learning the right skills. Another common problem is the shiny object syndrome. We receive tons of information and offers these days. Every day I get dozens of emails for new business opportunities, helpful tools, ideas to make money and more. Many people open many of these emails and change projects without never completing one or they work on multiple projects without focusing on one. The results are low-quality or uncompleted projects. Find ways to stay focused! There are many sites where you can earn a few extra dollars per week. For example, the survey and PTC sites. It’s easier to get started with these. You create an account and start making tasks, surveys, click ads and more. It’s okay if you are looking an extra income. I recommend some of them on this site as well. However, if you want to make $100 per day or more, they are not going to help you. You need to find a way that allows you to scale it and later, automate it. I have joined many of these sites before so, I know that many people who are active on these sites believe that they can make more money. Usually, they look for referrals or they join many similar websites. However, most of them struggle to go to the next level. Side income websites are not designed to create online entrepreneurs or full-time members. There are articles out there with dozens of ways to make money online. I cannot see how it could help you to write 500 of these ways. So, I selected them which you can start today, you need less than $100 or even for free, they are beginner friendly (easy to understand the process), and many people make over $100 per day. You may have heard them many times before but the fact is that you do not need anything fancy to get started. Even a blog can make for you a full-time income if you work it properly. The next step is to start learning these business models. I link to some resources and training. If you do not like them, you can find more information elsewhere, it’s fine. But you need to avoid a common mistake here. You need a complete system and not random tips from a YouTuber or a blogger. Forums and Q&A sites can help but you cannot create a profitable business based on opinions and random information. Find someone who has earned money with the way he teaches, and applies what he says in his online business. You may need to invest some money for good training but many programs offer a free membership with basic courses to get started. Also, there are many fake teachers on the internet and offline. So, a good idea would be to stick to the big names of the industry you will choose. The well-known teachers and programs tend to ask more money than the random gurus but you get the right information and you can trust their system. Many people think that already know what affiliate marketing is. But they do not. You can say that someone knows what is affiliate marketing when he earns a full-time income from it. Also many guys who are full-time affiliate marketers know only one way to apply it. With a few words, there many different ways to get into affiliate marketing. Most of them require different skills and mindset. For example, you can promote affiliate marketing programs with a website, a YouTube channel, email marketing, social media marketing, banners, direct advertising and more. For those who have not heard about affiliate marketing before, it’s the business model where you promote other people’s products and you earn a commission per sale. Most training programs teach only a way of these above. Only the big ones like Wealthy Affiliate teach many of them. I think affiliate marketing is the easiest way to start an online business because you focus only on marketing. You do not need a product, handle customers and payments. There are affiliate networks like Clickbank and Amazon Associates where you can create a free account, grab your links and start promoting products. The top affiliate marketers like to create an audience. You can achieve that by building a website, a YouTube channel, an email list or any other way you can communicate with other people online. 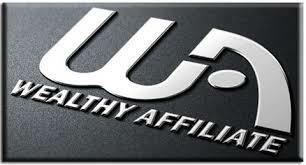 A great training program for affiliate marketers with thousands of active members is Wealthy Affiliate. It has a free trial, an active community to get help and support and it has created many successful affiliate marketers the last years. Blogging is still a great way to get traffic. If you create content consistently and publish it to your site, you will start building an audience in your niche. Many big brand names have created a blogroll on their sites and many people have become experts with blogging. People like to read interesting articles about things they love, search engines like blogs because they have fresh content and you can build a following on social media just by sharing and talking about your posts. It is not a direct way to earn money, but you can monetize your traffic in many different ways. You can do affiliate marketing just by adding some links to your content, build an email list, add some advertisements, sell your own products and more. You will start from nothing so you will be alone in the beginning. Don’t expect to write 2-3 articles and get thousands of readers and followers. Usually, you can expect the opposite. It will take time to build an audience. Bloggers focus on getting traffic from search engines and build their email list with that traffic. A new blogger who starts from scratch needs to target low competition keywords and write new posts consistently. However, if you can overcome the first obstacles, there are major benefits. You will earn a lot of money in residual income and build a loyal audience. Many bloggers are treated like rock stars in their niche after a few years. Again, Wealthy Affiliate is a great place to learn how blogging works and get ranked for many keywords in your niche. Ok, these examples are enough. Of course, there are other ways to sell products you own as well. E-commerce businesses are websites like Amazon and eBay. These are two huge brand names. However, there are many other small e-commerce sites or individuals who try to earn money online. Most people who want to get started with this business model become sellers on Amazon and eBay or go with the drop shipping option. The sellers on big sites want to get a part of the available traffic. The problems are the fees, the rules that these sites have and the competition. Drop shippers sometimes sell on bigger sites as well but usually, they build their own store and get traffic through advertising. The drop shippers do not own the products they sell. When they get an order, the original seller ships the products for them. The disadvantage here is that they earn a smaller profit than the other types of e-commerce but it’s the simplest way to start an e-commerce business. If you want to become a drop shipper, check the resources and the guides of Shopify. It’s a legit store builder for small owners and beginners. Email marketing is an effective way to get targeted traffic. First of all, there are over 4 billion accounts in the world and this number increases. Most people who have internet access have created at least one email account. Also, many people check their emails at least one time per day. Email marketing was one of the first types of internet marketing but many big brands still focus on it. Amazon and eBay often send me offers and discounts on different products. Most online marketers use it as a part of their strategy. For example, they have a website or a social media account to get traffic, send this traffic to a landing page and they collect the emails of their visitors. It can be considered as a way to do affiliate marketing because you can send affiliate offers to your subscribers but it’s not the only way to monetize your email list. You can completely automate the process. Some tools help you to create landing pages fast and then, you can create series of emails to send with an autoresponder to your subscribers. Some training programs teach how to earn money only with email marketing. The negative to that process is that you will need an investment, in the beginning, to send traffic to your landing pages. Advertising programs like Google AdWords and Facebook ads are two great ways to get paid traffic. For a complete system based on email marketing, you can check Inbox Blueprint created by Anik Singal. The last few years many people try to build their own online business. It could be an opportunity for you to offer your services as an individual or as a company (agency). If you have a skill, you can use it. When you start from scratch, you will earn the lowest fees ($5 per hour) but you can scale it as you learn more about your business. Many people just find a job and work as employees online. You can do that as well but if you want to achieve the $100 a day goal, a job will not be enough. There many ways to get started. 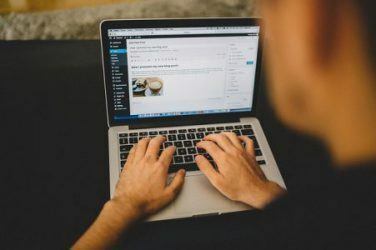 Some people go to Fiverr and create a few gigs, others use writing sites like iWriter and there are sites like Upwork and Freelancer to apply for long-term freelance jobs. You can visit any of these sites above and check if you like the way they work. Choose one and start looking for jobs you believe you can do. It is not a good idea to apply for jobs you cannot complete or not being honest about your skills. For those who are looking for a proven system, I would recommend two guides. The first one is the Horkey Hand Book about becoming a virtual assistant and the second is My Freelance Paycheck for those who want to become writers. Create a working routine. There many new things to learn and you must start building your new online business. Find a way to be active daily. Creating a working routine is an efficient way to maximize your productivity. Stick to your decision. These business models and the training programs have worked for others so make them work for you too. There will be doubts, impatience, a learning curve and more obstacles to overcome. However, if you tend to quit, you will never achieve your goals. Be teachable. This is a huge one. You must be willing to learn and ready to apply anything new. Enjoy the process. If you enjoy what you do, everything will be easier. As you can see, the most steps are mindset tips and apply almost everywhere. Many beginners fail to follow these simple concepts and they give up after a while. So, don’t make the same mistakes. Can you make $100 per day? I believe that anyone can achieve that goal. You need a combination of a system that works and the right mindset. It may sound complicated but it isn’t. While there are hundreds of ways to make money online, I present you above the simplest ones to get started with proven guides to follow. These guides are created from the bests of their industries. Just follow them and do they what they teach you. Developing the right mindset is important too. But you do not have to be a guru. Just stay focused on your goals by removing the distractions and find a way to be productive. You can take action now to change your life or just not doing anything. I hope you will decide to take action. Which one of these ways will you make it work for you? Have you tried any of them before without success? Do you have anything to add or any questions? I would like to hear your opinion so leave you comment below right now!